The Real Estate (Regulation and Development) Act, 2016 came into force in the year 2017, wherein RERA Authorities were established State-wise to regulate, promote the real estate sector and protect the rights, interest of the consumers of the real estate. Refund, if Allottee demands to withdraw from the project and promoter shall return the amount receive with interest at the rate it is prescribed. Possession, if the allottee doesn’t intend to withdraw from the project the compensation may be granted with interest for every month of delay till the handing over of the possession as may be prescribed by the law. Further, if the RERA Authority passes an order, keeping into consideration the above-mentioned remedies, then it has to be complied within the time specified in the State RERA rules. And if not so, then as per section 40 of the RERA Act it shall be recovered. In the recent past, many builders are not complying with the RERA orders or directions and in such cases an allottee has a right to invoke aforesaid remedy wherein he can make a plea for the execution of the order. Lately, the same has happened in Maharashtra, wherein for the property is going to be auctioned to recover the money of the buyer. In one of the cases few buyers has booked flats in Falco Woodshire Project in Ambivali, due to unreasonable delay in handing over the possession, buyers’ filed complaints for refund before the Maha-RERA. During the proceedings the builder claimed that a local goon’s terror reign in that area resulted in delays in completing the project by December, 2015. Looking into the facts and circumstances of the case the authority passed refund along with interest @10.5%. In this case builder failed to comply the order passed by the authority, instead challenged the order in the appellate tribunal and was dismissed. Thereafter the buyer the filed execution of the decree. Maha-RERA issued a revenue recovery warrant and sent it to the Thane collector. Then such warrant was forward to the Tehsildar of the area for property sealing and auctioning to recover the money. The Tehsildar issued notice to the builder to developer to pay up before Woodshire building was sealed, and flats were put up for auction. According to the Tehsildar the recovery process takes 5-6 months. All the four flats will be inspected by the public works department and current value will decided as per the works completed. 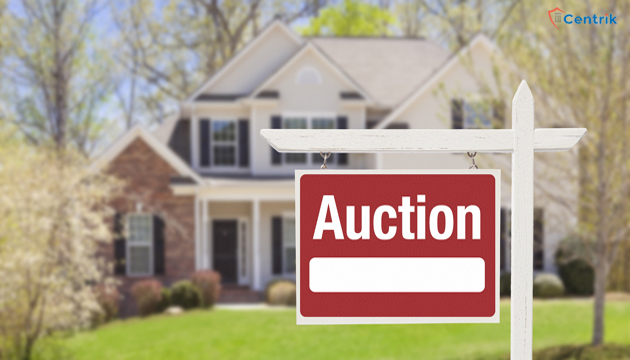 The auction will take place based on a revenue recovery warrant issued under Section 40 (1) of the Act. If three of these flats get sold and recover Rs 51.88 lakh the auction will stop and if does not, then re-auction will be organized. Now, there is sight of relief to the homebuyers as the order are being executed. This is for the first time ever an auction will take place in order to recover the money of allottee wherein a refund order was passed.